NYX Capital Corp. has partnered with Bluebird Self Storage to develop a state-of-the-art self-storage facility at the site of the former office of The National Post in Toronto. The $40-million-plus development at 1450 Don Mills Road is just one of several self-storage facilities the Toronto-based private equity real estate firm plans to develop in the Greater Toronto Area in the years to come. Bluebird has a 20-year working history with Life Storage (LSI-N) – a large self-storage REIT in the U.S. with a market capitalization of $4.5 billion. Life Storage will operate Bluebird-branded self-storage facilities developed by NYX Capital and Bluebird. While NYX Capital has previously focused on residential and commercial land development and investment, “we feel that self-storage is a very underserved market in Canada,” says Max Vo, vice-president, investments at NYX Capital in Toronto. Canada has only about one third of the amount of self-storage space per capita compared to the U.S. and the majority of self-storage units in Canada are not of class-A quality, he says. NYX Capital and Bluebird bought the three-storey, 159,000-square-foot office building in June for $22 million. NYX expects to spend a similar amount to convert the building into a class-A, climate-controlled self-storage facility. Renovations include replacing major mechanical and electrical systems, adding new freight elevators and loading areas and building a new retail office. Most of the parking lot will be used to build an additional 50,000 square feet of storage space. The Don Mills Road site should be completed within two years and leased to stabilization (85 per cent) within five years, he says. NYX Capital initially planned to maintain the property as an office building, but “we couldn’t make sense of the numbers, given the lack of parking and the fact that it’s a single-tenant building which would require significant capital improvements.” In addition, net rents for self-storage facilities are significantly higher than for office rentals in the area, he says. NYX Capital and Bluebird also plan to build South Sheridan Self Storage, a 169,000-square-foot self-storage facility near the QEW and Southdown Road in Mississauga. Two industrial buildings will be demolished to make way for the $18- to $24-million development, which should be completed in two years. The two companies plan to develop three to five new self-storage projects annually in GTA in the short term. Bluebird has six other projects under development in Canada which do not involve NYX Capital. “They’re one of the best developers of self-storage in the industry. They have a long history in Canada as well as developing for other self-storage providers and operators,” Vo says. Buffalo, N.Y.-based Life Storage is making its first foray into Canada as operating partner in the NYX Capital-Bluebird developments. “Even though the stores will be branded Bluebird, the backbone is really the Life Storage team,” Vo says. Life Storage is the fifth-largest self-storage operator in the world. Because self-storage is new to NYX Capital, it wanted to partner with companies with development and operational experience. “The combination of Bluebird and Life Storage answers and exceeds our expectations in terms of partnership,” Vo says. NYX Capital looks for projects which can provide investors with returns well in excess of what a typical pension plan or core investor seeks. “Typically, our projects would return 15 per cent per year or more on an IRR basis,” he says. The company typically puts up a large amount of equity in projects, then invites high-net-worth individuals to invest, usually from $100,000 to $1 million. Among NYX Capital’s other projects is 2365 Dixie Road in Mississauga, a 15-acre site purchased recently at an almost eight per cent cap rate “which is unheard of in today’s market.” The site includes a 193,500-square-foot industrial property currently tenanted by a major film studio. It also has potential for additional industrial and self-storage development. The company is seeking to obtain approval to build two condominium towers in a 350,000- to 400,000-square-foot development at 9675 Yonge Street in Richmond Hill, which is currently home to automotive tenants. It has also applied to build 172 stacked back-to-back and single detached townhomes at 12 Henderson Avenue in Brampton. Given last year’s announcement a new post-secondary institution, Brampton University, will be built in the city, the door has also opened for the firm to consider condominiums or student rental housing, Vo says. Past projects by NYX Capital partners include 707 Lofts, a five-storey, 77-unit loft-inspired development in Toronto’s Little Italy and King+ Condos, a 17-storey condominium with 132 units at 251 King Street East in Toronto. Formed about five years ago and led by CEO Yashar Fatehi, NYX Capital is a young company which obtains oversight from its experienced directors and advisory board, Vo says. 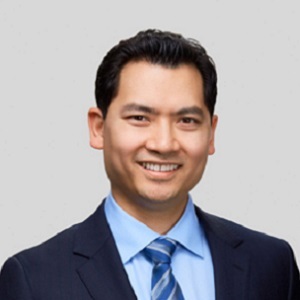 Vo, a NYX Capital partner for two years, has worked as a broker at J.J. Barnicke, asset manager at GWL Realty Advisors and Crestpoint Real Estate Investment and portfolio manager and asset manager at Morguard.